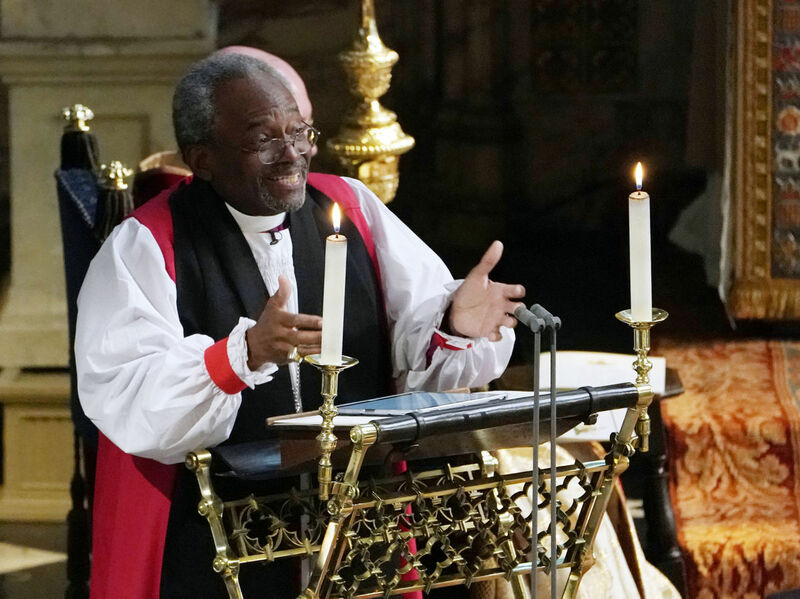 LOVE SERMON: Bishop Michael Bruce Curry addresses 600 guests at the royal wedding of Prince Harry and Meghan Markle. WINDSOR, England -Nothing captured the transatlantic nature of Saturday’s royal wedding as much as the guest preacher whose sermon brought African American fire and flair to a very English church service. The Most Rev. 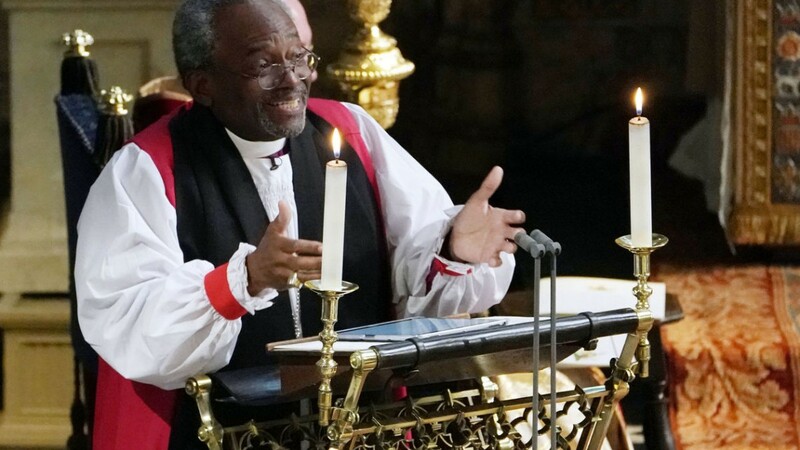 Michael Bruce Curry, the first black leader of the Episcopal Church in the United States, was chosen personally by Prince Harry and Meghan Markle to address their 600 wedding guests. The bishop’s passionate sermon on the theme of love, punctuated with quotes from the bible, Martin Luther King Jr and African American spirituals, was a contrast to the more solemn and muted Anglican style the royal family is used to. Harry and Markle exchanged a quick glance at one another at one point as Curry drifted from his prepared remarks and ad libbed while the queen looked on stoically. Camilla and Kate– the Duchess of Cornwall and the Duchess of Cambridge -traded sidelong glances. The crowds waiting outside for a glimpse of the royal couple loved it. Cheers greeted Curry as he walked uphill from the chapel along the procession route after the service. One man shouted “well done” prompting a smile and “God bless you” from the bishop.